Litecoin is an alternative cryptocurrency that’s made to that’s based on Bitcoin’s model. Since it’s decentralized, Litecoin is not controlled by banks or any central authority. This makes it easier to trade internationally and receive it faster than fiat currency. The coin was developed to be the “silver” in comparison to Bitcoin’s “gold”. It’s gained a lot of popularity since its development. Also, Litecoin was developed to improve on Bitcoin’s flaws (slow transaction speed, blockchain issues, etc). Continue reading to get an in-depth analysis on Litecoin’s history and how it became the popular coin that people know today. With Litecoin, you don’t have to wait as long as you would with Bitcoin to complete a transaction. On average, you’ll spend at least 2.5 minutes to complete a transaction. Bitcoin, takes 9 minutes per transaction, making it harder to use when more users are on its blockhain. For example, a merchant would have to wait at least 4 times more if they want to sell their services on Bitcoin. Using Litecoin, they can accept transactions without waiting at all. Because of this, its used for merchants who sell international products and want to receive the most profits. Think about your current portfolio, when you first invest in Bitcoin, you’ll be exposed to multiple market corrections. When having some Litecoin, you’ll have a more diverse portfolio that won’t be subjected to failure once a crash occurs. Unlike Bitcoin, Litecoin’s currency is backed by a Scrypt based mining platform. Bitcoin uses a Application-Specific Integrated Circuits (ASICs) type of mining where complex hardware and a computer with a good GPU or CPU is needed. With Scrypt mining, users can quickly mine Litecoin without much difficulty. While companies have developed an ASIC based program for Scrypt, you can still mine Litecoin at a faster rate than you would with Bitcoin or other SHA-256 based cryptocurrencies. 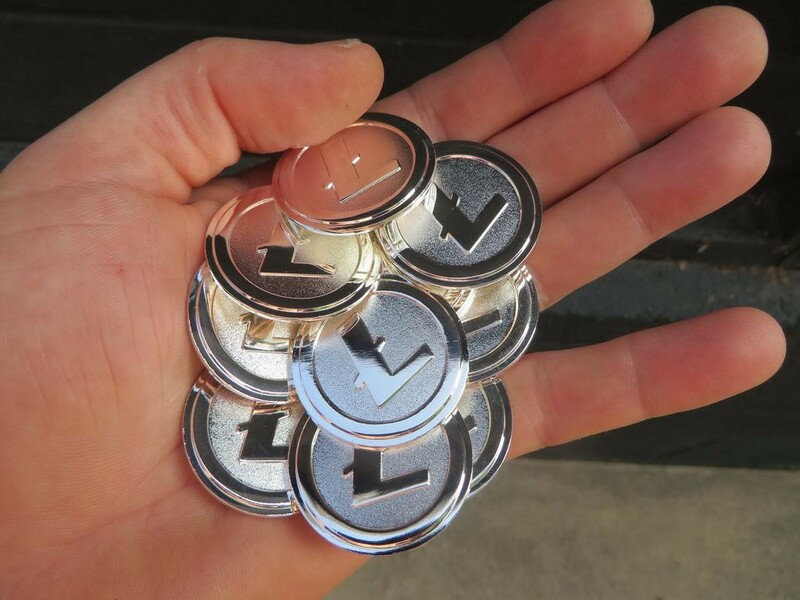 Litecoin started as a peer to peer based cryptocurrency in 2011. It was founded by Charlie Lee, who was a former Google employee at the time. Litecoin is a hardfork on Bitcoin’s previous blockchain as it has a higher maximum coin supply, modifided GUI, and a faster block generation time (2.5 minutes). As of now, Litecoin has a current market capital of $16 million dollars. The cryptocurrency has increased in value since its development by up to $305 a share. Litecoin is ranked #5 within the cryptocurrency market. We suggest that you look into Litecoin if you want a modest cryptocurrency who has good growth potential and the ability to stay stable. While it’s hard to predict the market, rest assured that Litecoin is here to stay. Where Can I Obtain Litecoin? You’ll find it easy to obtain Litecoin as it can be either traded via exchanges or collected via mining. 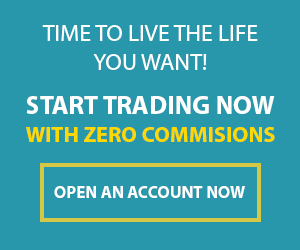 Plus 500 is a reputable online broker that allows users to buy and sell Litecoin as if it was a regular stock option. We have a tutorial to help new users obtain Litecoin, but that will be explained further in another article. Give it a look if you want a good alternative to Bitcoin and a better opportunity to obtain gains within the future. What’s the future for Litecoin? We expect that it will still remain stable despite the hectic highs and lows within the crypto market. Thus, if you do plan on investing in this coin, take some time learning the proper investing techniques so that you are well informed and make the right decision. Stay tuned for our next part in out Litecoin Series. We want to help you understand Litecoin fully so that you can make the right decisions and potentially make some earnings with this innovative addition to the cryptocurrency market. Do you have any questions or concerns in regards to Litecoin? Share your responses in the comments below. https://www.101trading.co.uk/wp-content/uploads/2018/01/litecoin.jpg 768 1024 Khanh https://101trading.co.uk/wp-content/uploads/2015/07/logo101trading2.png Khanh2018-01-04 01:06:562018-01-04 01:06:56Litecoin: What is it? Litecoin development has been a trending topic amongst the crypto community. In fact, Litecoin’s prices and value has skyrocketed amongst its peers. We’ll discuss how its rise in December happened and give insights on why you should invest into it. Litecoin’s value increased dramatically during December. According to CoinMarketCap, it’s the fifth largest cryptocurrency in the world. Since its development in 2008. Litecoin has gained a huge following and a market value of over $15 billion dollars. When it comes to litecoin development, its price value raised from $4 from the beginning from the beginning of the year to an all time high of $322. 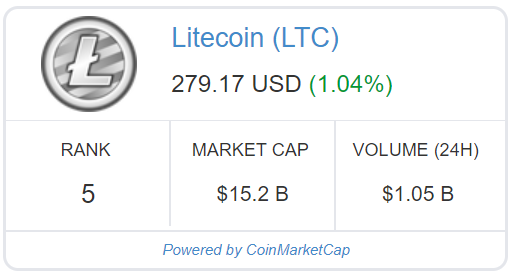 Litecoin increased by 2,950% in value! Due to the market corrections that have been occurring during the past weeks, Litecoin has still remained stable and still retained its user base. Right now, its valued at $256 per coin. So if you look at the whole year performance, Litecoin is still in a bullish trend. Market analysts and observers have voiced their concerns on cryptocurrency. They believe that the current Litecoin development has reached a bubble and won’t exceed its value. Many cryptocurrencies increased in price during December. Litecoin development throughout this month provide substantial evidence against the assertion that the prices of these cryptocurrency assets have inflated. While developers alleviated most concerns that analysts expressed, others aren’t fully convinced. 64% of institutional investors believe that Litecoin’s market bubble will burst by the beginning of 2018. Charlie Lee, the head developer and creator of Litecoin had recently sold all of his coins. He “sold and donated” his coins to prevent a conflict of interest. His reasonings behind his actions was because he wanted to ensure long-term growth for litecoin development and its network. 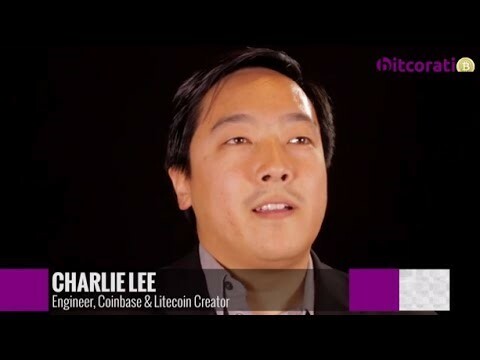 He stated “Litecoin has been great for me, so I don’t have to financially tie my success to Litecoin’s success,” Lee stated. “I do not own a single LTC since the six years I’ve started collecting it”. Other than some collector coins, he has completely removed his holdings of the coin. This isn’t uncommon for cryptocurrency leaders and founders to publically announce their divestment. For instance, Bitcoin’s founder Satoshi hasn’t come in public view and still remains mysterious today. For investors, Lee’s decision will create a drop in the value of Litecoin. However, for future litecoin development, we can expect to see a large rise in value. If you want an alternative to Bitcoin, then you should learn how to trade Litecoin today. Is It A Bear or Bull Market? As of now, analysts believe that Litecoin is showing signs of a bear market. Mike Novogratz, legendary cryptocurrency trader and founder of Galaxy Investment Partners, states that Litecoin doesn’t have the same buying opportunity as Bitcoin. Another theory that occured was that Coinbase users are actively buying litecoin due to its “cheap” price. Users think that it’s a cheaper option in comparison to ethereum and bitcoin, two other cryptocurrencies that’s offered in the platform. Even though Litecoin is viewed as a bear market, it’s still a great time for people to invest in it. Here are a few reasons why new traders should get involved with Litecoin. Both Litecoin and Bitcoin share the proof of work (user verification to complete a transaction), but the cryptocurrencies have two different algorithms for their separate blockchain network. Litecoin’s mining algorithm is easier to use than Bitcoin. This means that it can be mined on regular computers while using less energy. Usually, mining operations worldwide take a large amount of electricity and there is a shortage of high quality mining graphics cards for mining rigs. Another reason why you should invest in Litecoin is because of its fast block generation. Litecoin takes only 2.5 minutes while Bitcoin takes 10 minutes to successfully execute a block. Put simply, Litecoin transactions are four times faster than Bitcoin and has lower transaction fees. For investment reasons, Litecoin is a great alternative as users can buy or sell the currency without paying as much as they would if they were to trade with Bitcoin. Swings will occur, but Litecoin is one of the few cryptocurrencies that can’t be defined by its price swings. When thinking about the future of Litecoin, it should be defined by its usefulness and relative stability. The future for litecoin development is bright as it shows no sign of stopping. Thus, you should consider investing in Litecoin as it offers a myriad of long term benefits (faster mining, easier transactions, and a relaxed community). https://www.101trading.co.uk/wp-content/uploads/2018/01/litecoin.jpg 768 1024 Khanh https://101trading.co.uk/wp-content/uploads/2015/07/logo101trading2.png Khanh2018-01-03 01:45:242018-01-03 02:02:53Litecoin’s Development: How Did it Perform This December?